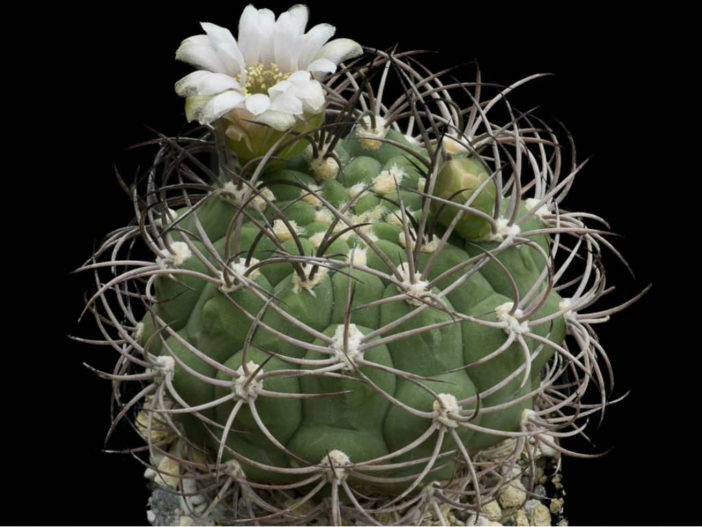 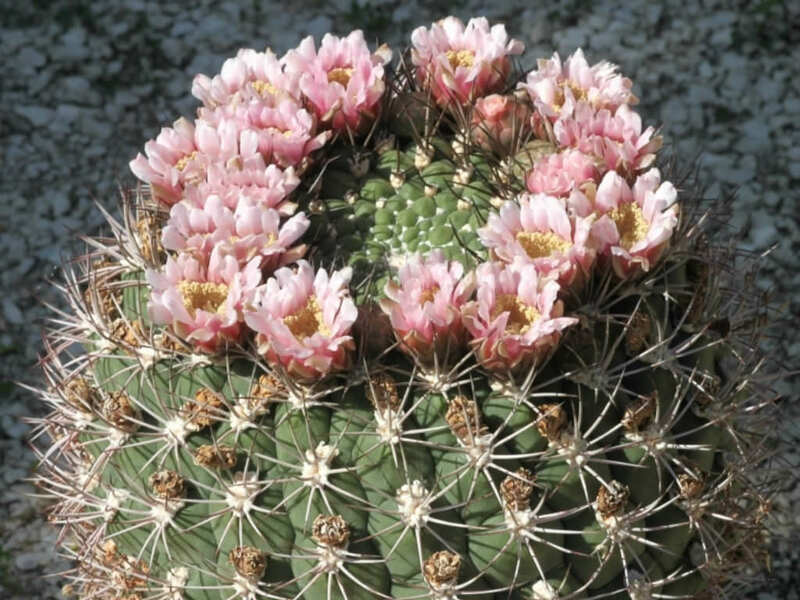 Gymnocalycium saglionis is a globular, slow-growing cactus up to 3 feet (90 cm) tall. 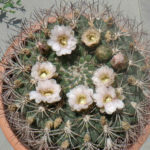 The body is almost cylindrical, more or less flattened, up to 16 inches (40 cm) in diameter and can range from dull-green to blue-green. 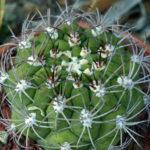 The spines are yellowish-brown, reddish or white, becoming grey with time and up to 1.6 inches (4 cm) long. 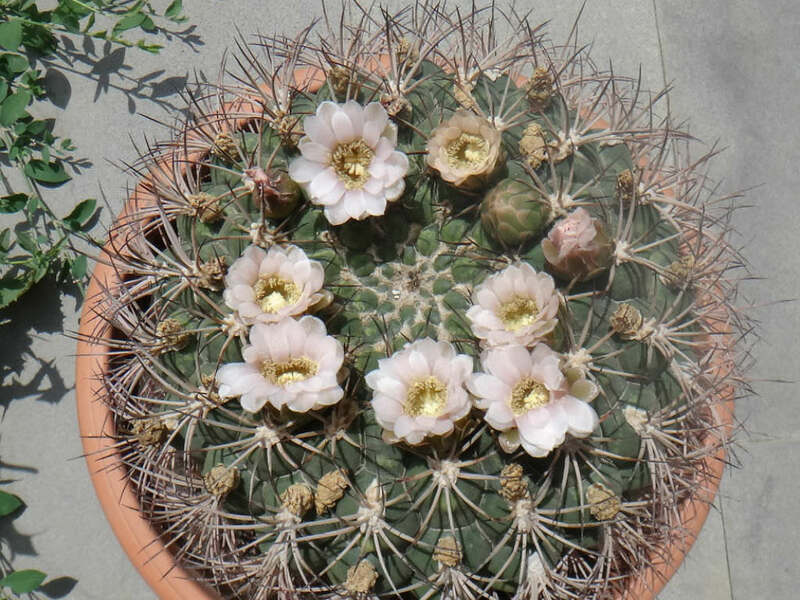 The flowers are white or reddish, often more than one simultaneously and up to 1.4 inches (3.5 cm) long. 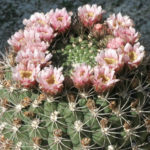 The fruits are globular, reddish or dark pink, with tiny, shiny black brown seeds. 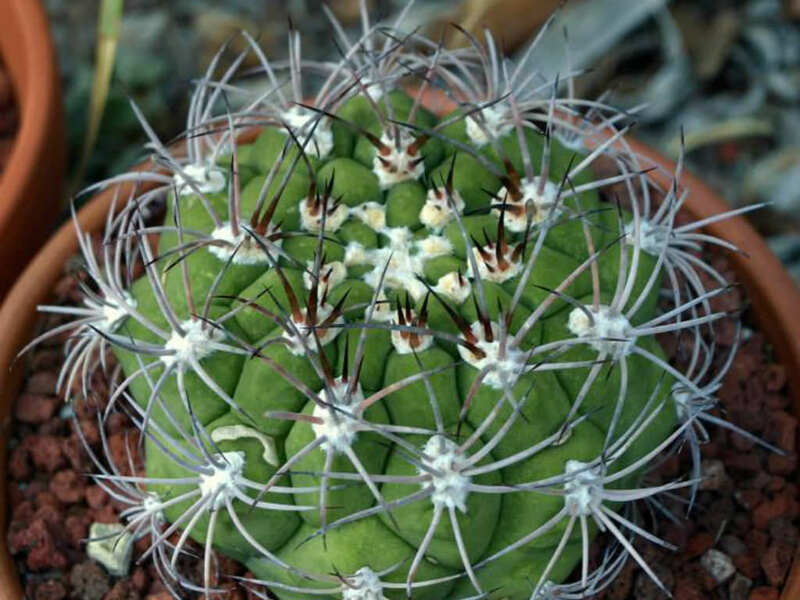 Gymnocalycium saglionis is endemic to Argentina.